Daytona Beach Shores Weddings allow you and your guests the convenience of keeping your Florida beach wedding ceremony all in one location. 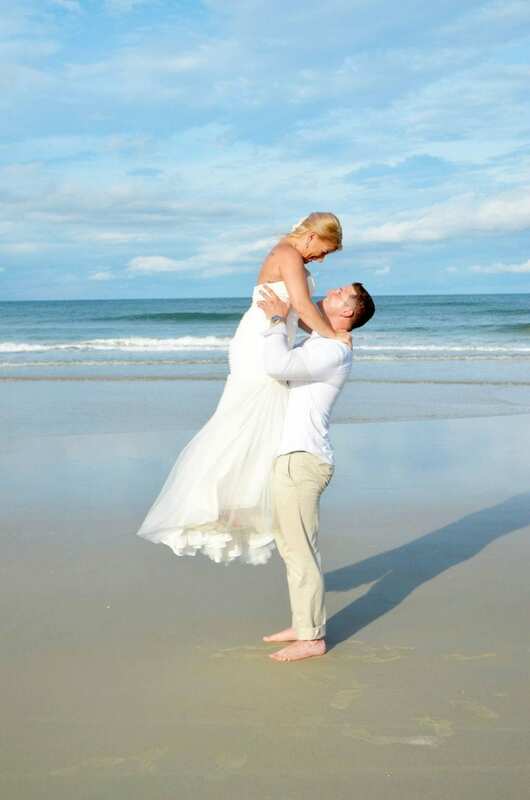 What makes Daytona Beach weddings so unique is the wide variety of hotels directly located on the beach for you to have your beach wedding ceremony. You and your guests will have the convenience of getting ready at your hotel, walking right down to the beach and even the option of having your reception at the same hotel! This makes planning transportation and your Daytona beach wedding easier than ever. 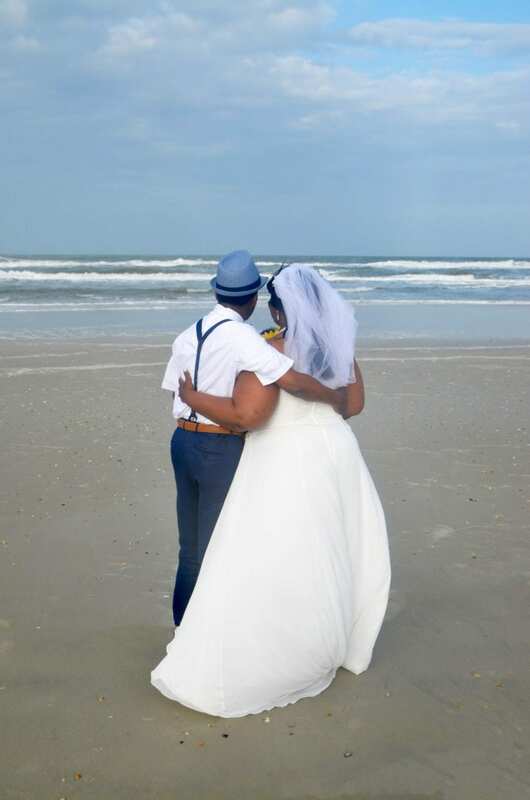 With beautiful white sand beaches and the white cap waves of the Atlantic Ocean, Daytona Beach Weddings are an ideal choice for the beach lover. Just a short drive from Orlando and St. Augustine, you will also have endless entertainment surrounding you- if you ever leave the beach that is. Daytona Beach Weddings are the most affordable. With elegant hotels at prices that won’t break the bank, more affordable Florida beach weddings, and affordable dining, you can have a top of the line Daytona Beach wedding ceremony for a price you can afford. All though Daytona Beach Shores beach weddings do allow you the convenience of having your beach wedding ceremony right outside of your hotel, there are some important factors that need to be considered. Tides will play an important part of determining the time for your Daytona beach wedding ceremony. 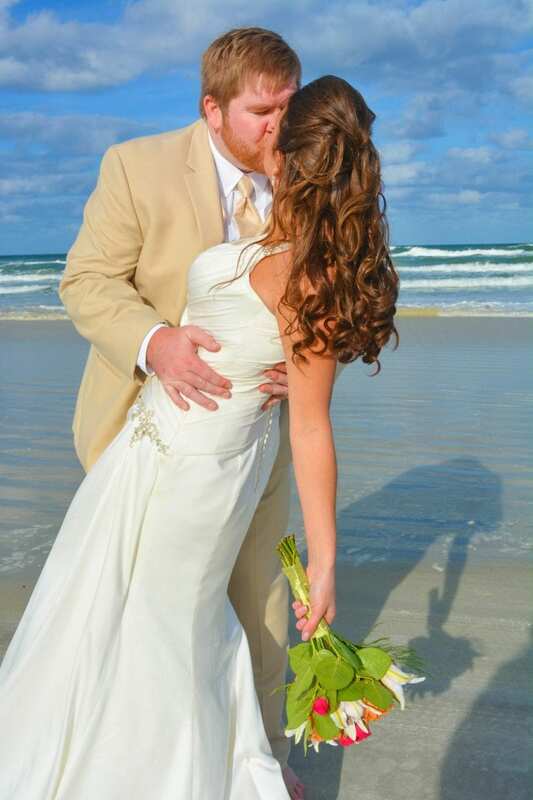 We need to make sure that we have enough beach to easily set-up and perform your Daytona beach wedding. Your photos will have hotels in the background of some of your photos, and sometimes they may cast shadows. Daytona Beach Shores Resort and Spa is a leading hotel in Daytona Beach. With a beautiful pool deck overlooking the ocean, fire pits, elegant rooms, poolside bars and beautiful rooms to have your reception, Daytona Beach Shores Resort and Spa is a top choice among our Daytona Beach brides. You can even rent a room that has a balcony to walk right out to the pool deck, great for gathering around with your bridal party. The Best Western Auki Tiki in is a beautiful hotel located oceanfront in Daytona Beach with rooms overlooking the ocean, free breakfast, free high- speed internet and an outdoor heated pool there are plenty of opportunities to get together with your guests that have traveled down to Daytona beach for your Florida beach wedding ceremony.